But it’s not something you have to deal with alone. And, while drugs are sometimes recommended, they may not always be necessary. There are lots of different services and professional supports you can connect with, and lots of things you can do along your road to recovery that don’t involve taking medication. If you can, take the time to do some things that will help you to look after yourself – things that you enjoy and make you feel good and happy. For example, take a long warm shower or relaxing hot bath, make yourself a nutritious meal, go for a short walk and grab a coffee. Making sure you can look after yourself first is the most important step in being able to look after your new baby. Finding the time and energy for exercise when you’re adjusting to parenting can be tough, especially if you’re dealing with postnatal depression. But research shows that a little exercise each day can go a long way in helping to improve your mental health. Try a gentle yoga session, a short walk or a new-mums exercise class. Or take a look online for a suitable guided exercise routine you can do at home. Remember you don’t have to go out and run a marathon – just getting the body moving in some fresh air will go a long way. Adult human interaction can be very important. Try setting up a coffee date with a friend, or even just coordinating visits to the park so you get some catch up time. Parents’ groups can be a great idea, and you can find groups online now too as a great way to make new friends and talk about your experiences. It’s important to understand that you’re not alone. And support groups are a great way to connect with other people experiencing similar things. All cities and towns have support groups for new parents, where you can share your story, feelings and experiences without judgement. It can be really helpful to meet others going through the same hardships. And if a group doesn’t appeal to you, one-on-one therapy sessions to talk things through can be a positive step. 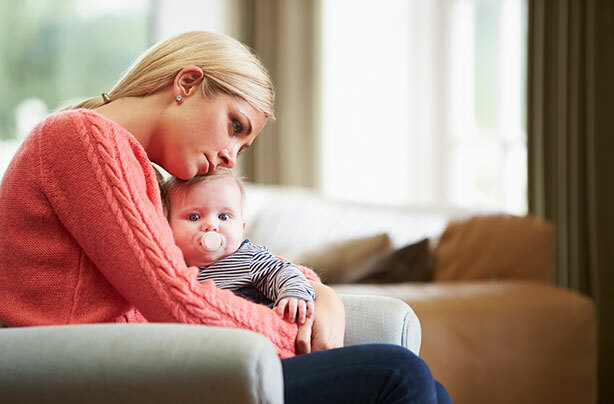 Mental health conditions, including postnatal depression, are complicated. Oftentimes getting the help you need will involve reaching out to others. There are lots of natural things you can do to help your mental health, but if the things on this list seem too hard to do, talk with a professional about it. They’ll be able to help. And before you know it, you’ll be on the road to recovery and feeling like yourself again.